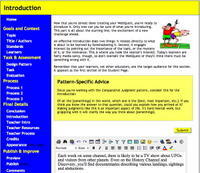 For the last four days, I've been spending all my creative time on updating the WebQuest web site. I've wanted to do that for years and thought that redoing it as a Drupal site would be the way to go. That, of course, laid a whole extra layer of necessary learning and tweaking and the thought of all that work just kept it from rising to the top of the to-do list. Then I got a note from a colleague whose opinion I value. She very politely pointed out how dated the sites were getting and how it gave the impression that WebQuests were soooooo 20th century. That was enough to push me into action. Instead of Drupalizing the whole site, I hunted around for some opensource templates I could adapt, which led me to Andreas Viklund's site. Four days later, I've arrived at this. I'm pretty pleased! We had over forty teachers here today for Teaching about the Holocaust, a daylong workshop sponsored by the United States Holocaust Memorial Museum in Washington. The morning was taken up with two presentations videoconfenced from the museum and the afternoon was all about making your own lessons about the Holocaust. Bonnie Sussman, a teacher and USHMM Fellow from Oakland, went over some design principles developed by the museum. 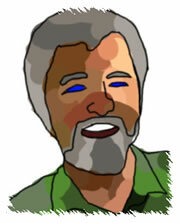 Dan McDowell and I guided the participants through the process of using QuestGarden to create WebQuests on the topic. I used the new (still a little buggy) capability of QuestGarden to load up their accounts with nine existing WebQuests ready to be tweaked. Dan wrote Remembering the Victims of the Holocaust, a great lesson that incorporates Jumpcut, an online video editor. And I contributed Voices Rescued from the Holocaust, a lesson inspired by Tamara, a former student who blogged about having her students create found poems from survivor testimonies. June & I are wrapping up a jam-packed 5 days in Hong Kong today. I was invited by Centre for the Advancement of Information Technology in Education., to keynote an award ceremony. Award for what? 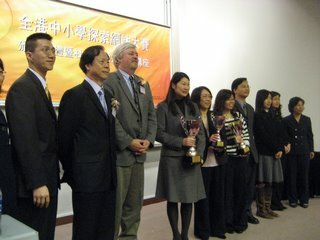 It was the first WebQuest competition that i'm aware of. it was a lot of fun watching the excitement of the teachers who won, especially the presentations made by the girls who described what the experience was like for them as students. I did a couple of workshops as well and in between all that we shopped in Tsim Sha Tsui and Mong Kok and toured the fishing village of Tai O with the help of FL and his students. We're about to get on the plane for 21 hours at the start of a very long day. It's Tuesday morning here, and we'll fly first to Narita, then San Francisco, then San Diego in time to teach my 4pm and 7pm classes Tuesday afternoon. The International Dateline is giving us back the day we lost on the way over. I'm guessing I'll be a zombie. 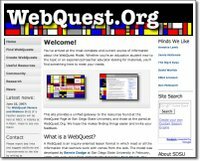 At last the entire webquest.org site has been moved. It was supposed to take most of Sunday but wound up taking the whole week. Although it's all virtual work, I feel as though I'd spent the last six days moving tons of cinderblocks on my back from one pile to another. Along the way I learned some tricks to make it easier next time around. It's the head-scratching uncertainty in between the aha's that feels like work, I guess. So the WebQuest search engine, and QuestGarden, and the WebQuest Forum are all working again on my new speedier (and 8 times more expensive) server. Little quirks are showing up, but nothing fatal so far. Time to shift gears and turn back to grading, housecleaning and all that's piled up over the week. Have to compact it all into the next two days as we're off to Las Vegas Wednesday night to watch High Tech High send their robot into battle. SDSU had its break last week to free up parking places for the NCAA games held here. How did it go? Am I tanned, ready and rested? God no. First up was the CUE conference in Palm Springs, where I did two sessions. One of them GeoTeleWikiPodBlogCasting for Understanding, went especially well. I drove back from Palm Springs through a wild hail storm, or was it snow? and went home long enough to pack different clothes and head out for a red-eye to Maine, where I did a keynote and full day of workshops for the Maine Learning Technology Initiative, the group that put a laptop in the hands of every middle school kid in the state. Then another long day in the air to get home and work on the webquest.org site. A few weeks ago my hosting provider shut down all access to the site because my 19000 registered users were hitting it too hard. They politely asked me to move. That turned out to be no small task, as the site has over 20,000 directories, and 6 separate databases. I spent the second half of the break getting all that underway. Then, by Saturday, it was time for the first session of the Educational Podcasting course which was great fun but also great work. I was looking forward to crashing at home for awhile before resuming the site-moving work. But then, just as class was ending June got the call that her Mom had fallen again and broken her shoulder. So instead of home there were hours in the emergency room and lots of shlepping back and forth to get drugs. 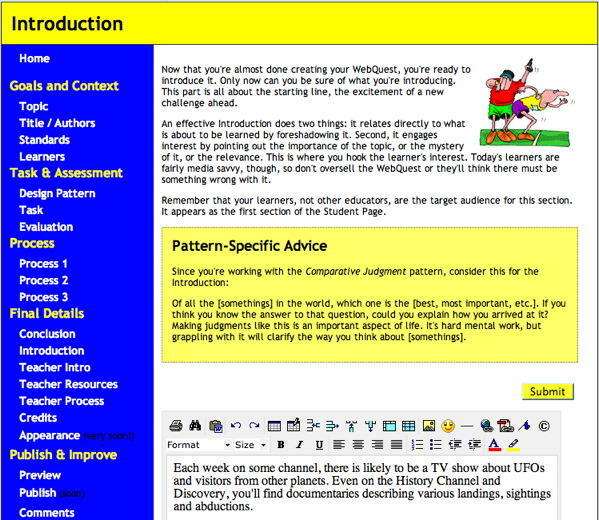 So now the break is over and I'm almost done resurrecting the WebQuest site. If I have another break like this, I might break. 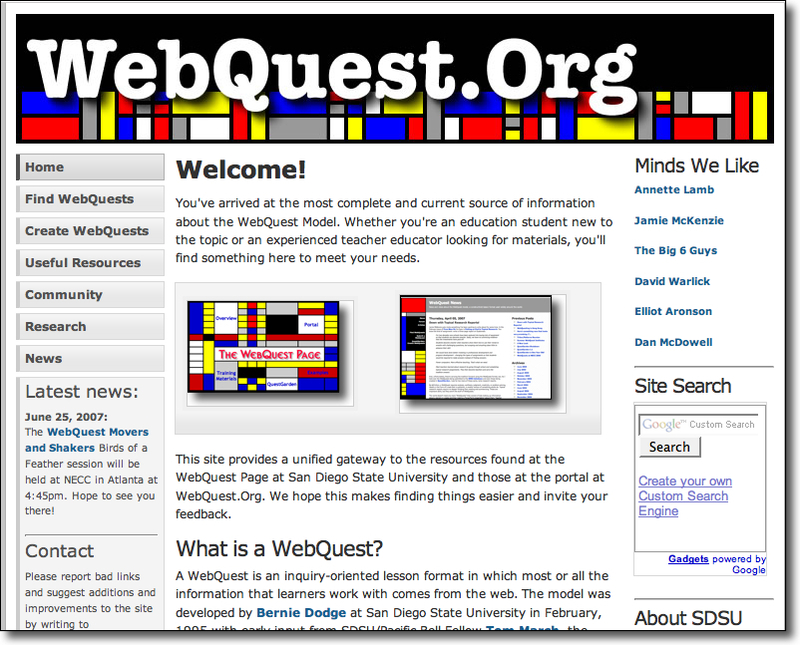 At a wonderful event hosted by the Educational Technology Department of San Diego Unified School District, at 4pm today I demoed QuestGarden at its new, post-beta-test URL: http://webquest.org/questgarden/. It was a great venue to be in, as I spent many hours with the group in the early WebQuest days helping with the Triton and Patterns projects. Some of the teachers and leaders from back then were in the room, along with telecommunications legends Al Rogers and Yvonne Andres, and four former presidents of San Diego Computer-Using Educators (including two Dodges). Lots of old friends and some new ones. Got great questions from the group and a list of new ideas for features and partnerships. They're archiving the presentation for later streaming. There's an overview of QuestGarden here. The baby is born. Now on to version 1.1. Had a sitting-on-the-floor turnout for my session here at NECC, Overcoming Obstacles to Quicker WebQuest Creation. Seems as though much of it resonated with the group. The basic message: creating a great WebQuest the usual way takes too long. We need a better way. So I showed the new authoring environment that will be generally available on September 1. Lots of interest generated. I think I'm on the right track for once. Powerpoint slides are available here. The archived webcast will be available here tomorrow, they say. People are blogging the conference here. I'm cooling my jets for a few minutes. June and Alex took the train out to Lancaster to see cousin Kath. They'll be back soon and then we head out to the airport for a night flight to Madrid! Yet again there's been a long blogless stretch and now I'm beginning to get emails from friends asking if they'd missed the funeral. Alas, it's nothing so dramatic as that. I've just been spending every spare minute on a Sooper Secret™ project that I finally revealed at the TCEA conference in Austin last week. I had two groups of 30 teachers each for a full day workshop and they gave this new thing a workout. In general they loved it, and so now I'm even more motivated to spend every spare minute working on it. I'll roll it out for real at the NECC conference in June, but until then, if I haven't returned your call or answered your email, this is why. For the last three days we've had 170 teachers on campus for a workshop on teaching about the holocaust sponsored by the United States Holocaust Memorial Museum in DC. My part was to whip up a session on WebQuests and the Holocaust. It includes a new version of the WebQuest about WebQuests and the world premier of Refuge Denied, a WebQuest about the voyage of the SS St. Louis in 1939 written by Karla Bell, one of my advisees. We had five labs going, with the other four being run by a platoon of present and former EDTEC students. All went well. A very satisfying day! Just noticed that the odometer on the WebQuest Page turned past 4 Million some time today. Not bad for a site with a staff of 1 and a budget of 0. We're getting 7-8,000 hits each weekday now. I'm guessing that once the new portal is in place, that will go up dramatically.